Grand Master Jay Burrell's website. Jay is totally brilliant, I've had most of my attunements via Jay. He offers affordable attunements etc. Ann runs her own storytelling business. Ann's a storyteller with a difference. Where appropriate Ann will include music, games, action-rhymes, dancing, puppets & competitions for the kids etc.... Check out her website for more information. Do you suffer from Ehlers Danlos Syndrome (any type)? Do you want to find out more about this crippling syndrome? Visit website for further information. Highest quality hand made crystal and gemstone jewelry made with love in the image of Light. Her Facebook page, is still a work in progress at the moment. 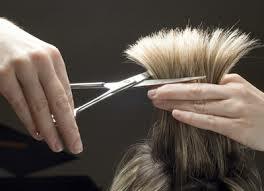 If at any time your housebound, & in need of any type of haircut etc.... call Martine. Martine's brilliant, she does mine & my Mum's hair. See my selfie (right of header). Tel: 01933 386347 or Mob: 07920 108319 to arrange appointment.